Medicare beneficiaries will be able to get coverage for preventive obesity counseling, CMS (Centers for Medicare and Medicaid Services) announced today. The CMS says this is part of the widening range of preventive services CMS has been adding to its coverage since the signing of the Affordable Care Act. Covering the costs for preventive obesity counseling complements the Million Hearts initiate, CMS explained in a communiqué. States that have shifted funds away from tobacco control programs may be missing out on significant savings, according to a new study co-authored by San Francisco State University economist Sudip Chattopadhyay. Donald Berwick, MD, MPP, the departing CMS Administrator, brought his deep expertise and vision for health care improvement to all he did at CMS. We thank him for his leadership there, in particular the role he played in helping shape the Medicare Shared Savings Program, Accountable Care Organizations regulatory framework. Dr. Berwick has been a friend to medical groups and the high standards of care which they practice and espouse. While Dr. Berwick will be leaving the Federal health care stage, he will not be exiting from the arena and we wish him well. According to a recent multi-site trial published in Arthritis Rheumatism, a peer-reviewed journal of the American College of Rheumatology (ACR), cognitive-behavioral therapy (CBT) reduces functional disability and depressive symptoms in adolescent with juvenile fibromyalgia. The trial demonstrated that the psychological therapy was safe and effective as well as superior to disease management education. Many people with painful, creaky knees and hips find relief after replacing their bad joints with new artificial joints made from titanium. But some of these people develop painful inflammation that can lead to bone destruction and loosening of the new joint. A new study led by researchers at the University of Medicine and Dentistry of New Jersey and published by the Journal of Immunology suggests that tiny titanium particles that flake away from the artificial joints through normal wear and tear may play a direct role in that inflammation. The Roger C. Lipitz Center for Integrated Health Care at the Johns Hopkins Bloomberg School of Public Health will offer free training and technical assistance for organizations that seek to use the Guided Care model to participate in the Medicare Shared Savings Program. The Centers for Medicare Medicaid Services (CMS) developed the Shared Savings Program to improve care quality and reduce costs for Medicare beneficiaries and is now accepting applications for an April 2012 launch as part of the Affordable Care Act. The free assistance is made possible by a grant from the John A. Hartford Foundation. China is already the third largest medical equipmentl market in the world, after the United States and Japan. Within 5 to 7 years, China will surpass Japan and become the second largest medical equipment market in the world. Meantime, the exports of the medical bed are also hot. China exported 12.7 billion USD worth of medical device to the world, is three times the amount of imports. One of the typical products is medical bed. A hospital Bed apparatus is provided that has a body frame, a hoisting assembly and a hammock supported from the hoisting assembly by hanging strings. The body frame is positioned over a hospital bed or the like and a person is placed on the hammock. Assessment of patient outcomes allows physicians and researchers to measure the success or failure of diagnostics and treatments that patients receive. One set of measurement tools focuses on assessing adult pain and is included in a special issue of Arthritis Care Research (link below), a journal of the American College of Rheumatology (ACR), providing physicians and researchers with a single resource of 250 patient outcomes measurements in rheumatology. Physicians and researchers can measure patients’ diagnoses and treatment successes or failures by evaluating patient outcomes. A special issue of Arthritis Care Research, a journal of the American College of Rheumatology (ACR) describes one set of measuring tools that is based on evaluating adult pain providing physicians and researchers with a single resource of 250 patient outcomes measurements in rheumatology. After 23 years of brokering, refurbishing, selling, installing, and exporting both new and used diagnostic medical imaging equipment, I feel as though I’m a pretty good gauge of how the business looks currently, how it has changed over the past couple of decades, and where it is all headed. 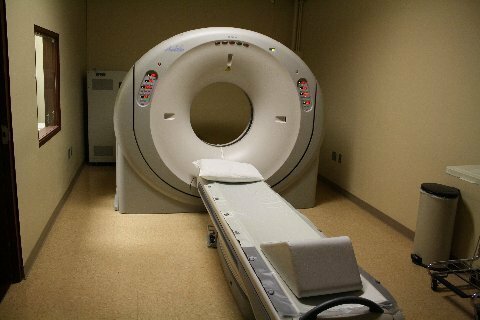 I’ve sold refurbished/used CT, MRI, PET, PET/CT, Digital Mammography, C-Arms, Nuclear Medicine Gamma Cameras, Bone Densitometers, Digital X-Ray, Ultrasound, PACS, CR, DR, Linear Accelerators, and a half dozen other types of medical equipment.